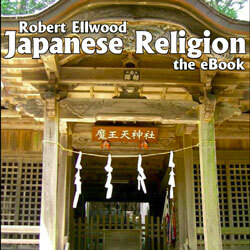 Japanese Religion: The eBook is a self-contained textbook for a one-semester introductory course on Japanese religions. Designed for undergraduate level study, it provides everything students and teachers could expect from a printed text and more. All this and much more out of spiritual Japan is described in this textbook. The order of presentation is basically historical, but always with a view to the contemporary expression a religious tradition under discussion. Balanced attention is given to the conceptual world, the practices, and the sociology of each form of Shinto, Buddhist denomination, or new religion. Issues of particular historical importance, such as the relation of religion to Japan's extreme nationalism in the 1930s and early 1940s, and religion in the affluent Japan of the late twentieth and early twenty-first centuries, receive especial notice. Japanese Religion: The eBook is accessible to all college and university students, whether they have had previous Japanese studies or not.